When listening to Thom Hartmann recently on the Green Renaissance community radio station (94.1 FM), he used the term “mother culture” to describe the comfort that we feel just by living day to day in familiar surroundings. Just as fish are unaware that their environment is water, mother culture wraps us in a warm security blanket and follows us everywhere. We grew up in the consumer culture. Simply Living members are often the first to see the problems associated with consumerism – too much emphasis on material things, too wasteful, too much advertising, etc. Nevertheless, most of us drive to work, accumulate too much stuff, and enjoy convenient access to an enormous variety of goods and services. If we seek to change Mother Consumer Culture, we are faced with a challenge: How do we extricate ourselves from the warm, security blanket of convenient access to material things, plus anytime, anywhere access to entertainment on our TV, computer, and smart phone screens? If our goal is to transition from the dominant consumer culture to one that is rooted in our knowledge of ecological systems, we must first understand the economic underpinnings of what has become a global consumer culture. The global economy is driven largely by transnational corporations that are supported by investment capital from international banks. The global consumer economy is a formidable system, but it is no longer sustainable. 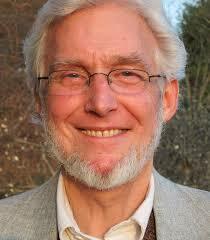 Its dependence upon fossil fuels is causing global warming and disruptive climate change. Its commitment to maximizing profit and minimizing labor costs is causing gross income inequality that threatens both middle income and working class wage earners. This complex system is failing and requires a major systemic overhaul. To avoid catastrophic climate change, we have only about two decades to: 1) shift to a new grid based on renewable energy; 2) invest in a green infrastructure of buildings, roads, bridges and transit systems; and 3) create a safety net that includes health care, jobs, and income stability for all. All this in the face of an administration that cares little about these issues? The good news is, as Bernie Sanders says, “change happens from the bottom up, not from the top down.” This is not only true of the “Our Revolution” movement to change our political system, it is true of all systems, and is the way evolution works at all levels. Because we are largely unaware of the economic and financial systems that underlie Mother Consumer Economy, it is not surprising that it is hard to see that a new economy is emerging. The next economy is emerging in plain sight! 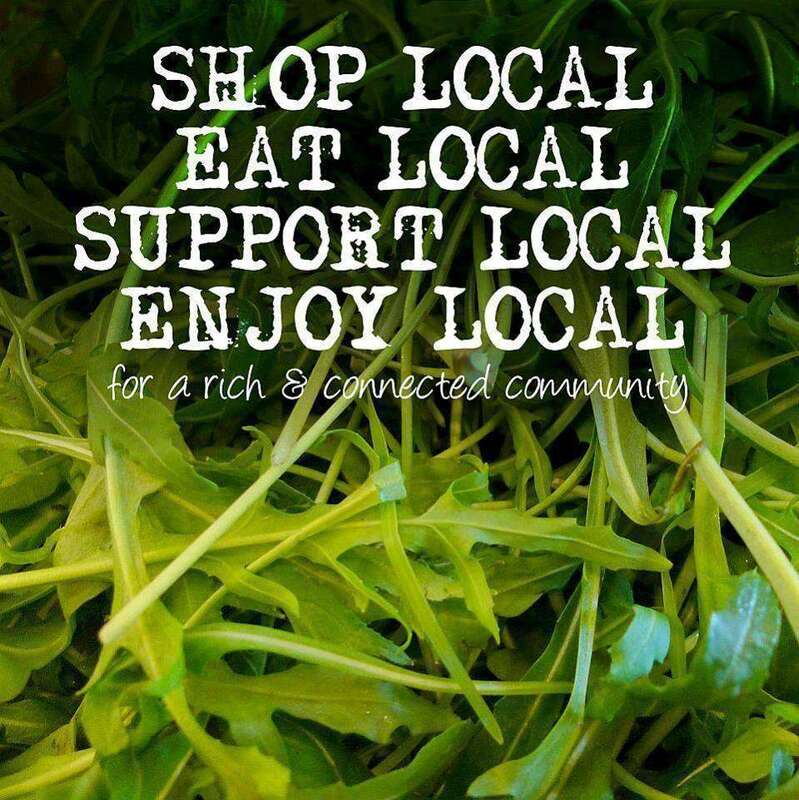 You can see it in the farmers markets, springing up in almost every neighborhood and small town. You can see it in downtown districts that are being revitalized with “buy local” pride. You can see it in the solar panels recently installed on your neighbor’s roof. You can see it in the local craft brew options at your neighborhood bar. You can see it in the urban farm that young men and women created on a vacant lot. You can even see it in those blue recycling bins that will soon grow bigger than their trash bin cousins. These are just some of the new seeds sprouting within the existing economy. Your choices today help them grow until they begin to compete with the older, less sustainable, nonlocal, and fossil fuelish consumer culture. The local economy. The local food movement and “agro-ecology” methods are challenging Big Ag and industrial farming. The local economy movement is keeping more dollars in the community while providing more stable jobs. Locally owned businesses and start-ups are finding new niches from coffee shops with bookstores to vegan-friendly restaurants to co-working spaces for entrepreneurs. Solar energy jobs in Ohio now outnumber coal mining jobs. Wind energy is revitalizing local economies and farming communities in northwest Ohio. Renewable energy is emerging as the clear preference to power the next economy for home owners and businesses. Recycling is opening up new business opportunities in textiles, reclamation of building materials, composting, and re-using and re-purposing materials that would otherwise end up in landfills. There is a new name for these businesses: the circular economy. Zero waste is the goal. The sharing economy with its high profile ride and room sharing services, is already a disruptive force in traditional taxi and hotel business services. The Time Bank movement organizes the sharing of skills through the exchange of “hours” – not dollars. Participation in time banks builds relationships and strengthens communities. The caring economy is yet another emerging trend that has its origin in the women’s movement. Rianne Eisler and others are challenging the traditional economy to recognize the value of child care and the benefits of nurturing future generations. Further, some critics of our consumer economy want to recognize the “Gift economy.” Most goods and services are exchanged through the market or bartering, but some people freely offer their gifts without the expectation of value in return. that are emerging to supplant the traditional for profit business model. Social enterprises, for example, are organized to be profitable, but surplus revenues are used to support a cause or mission driven business. Benefit corporations are now an official option in many states, though not yet in Ohio. These “B Corps” are specifically designed to provide goods or services that benefit the people and communities they serve. 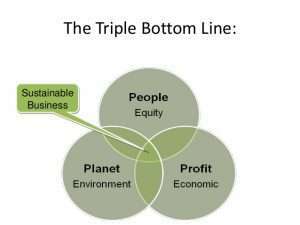 This overall trend is sometimes referred to as “Triple Bottom Line” companies that measure their success not just by Profit, but also by their benefit to People and Planet. Taken together, these seeds are nurturing the soil and creating the compost to grow the next economy. The new economy will eventually supplant the unsustainable version of global capitalism in place today. Emerging from the bottom up, the next economy will be more local, more fair and just to workers, and it will run on 100% renewable energy. Our individual choices for living sustainably today are creating the foundation for the emergence of locally-based, internetworked economies supporting diverse ecological cultures around the world. 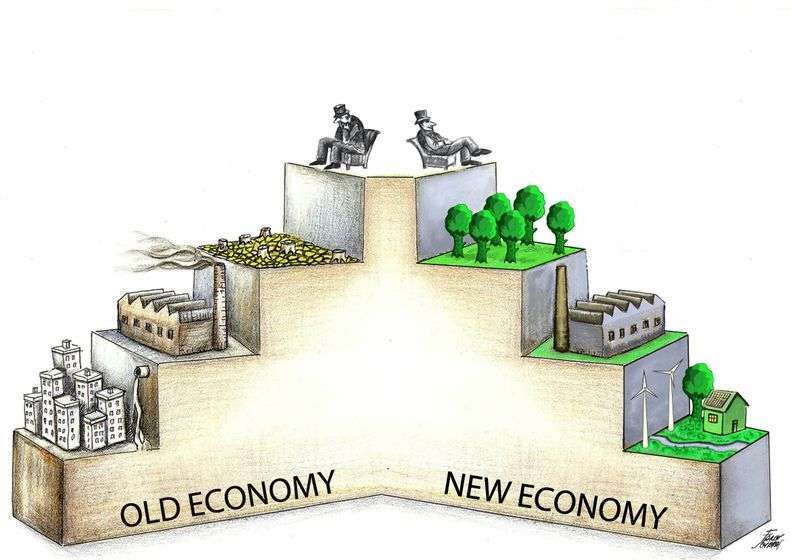 For more information about the new economy, see the blogs at ThinkColumbusFirst.org (reference the article: MMT Economics Offers Key to Funding New Economy and Green, Progressive Agenda). Contact the author, Chuck Lynd <chuck@thinkcolumbusfirst.org> or 614-354-6172.